Currently a North Cobb senior, MC Toth joined The Chant just this year. With writing passion & hopes to pursue journalism, MC works as a reporter on our staff. Living in Dallas her whole life, MC commutes to North Cobb for its International Studies magnet program. Within North Cobb, MC involves herself in: Heart to Heart, Magnet Advisory Council, Diversity Council, National Honors Society, and as an AP English Language, AP World History, and Honors Chemistry peer tutor. Beyond classroom doors, MC’s hobbies include: thrifting, visiting art exhibits, exploring outdoors, attending concerts, and researching sociology as well as environmental science. MC enjoys conspiracy theories and the philosophical world, questioning human existence and our universe. As an extrovert, MC craves human interaction and loves spending time with her friends and family. The Toth’s travel the world and so far have visited eleven countries: Costa Rica, Canada, Mexico, St. Maarten, The UK, France, The Bahamas, Belize, Australia, New Zealand, and Fiji. Meeting new people, trying new things, and viewing new cultures claim MC’s favorite traveling aspects. Along with an inquisitive mind, MC thrives as an adrenaline junkie and an “you only live once” attitude. 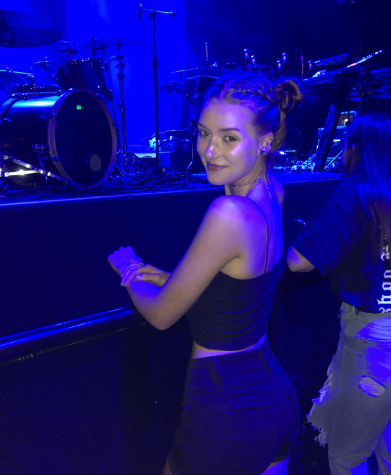 With her future, MC hopes to attend The University of Georgia as a journalism major and continue traveling the world, writing about her experiences.